A completely flat stage first along the SS. 16 “Adriatica” and then the SS. 9 via Emilia in the final part. 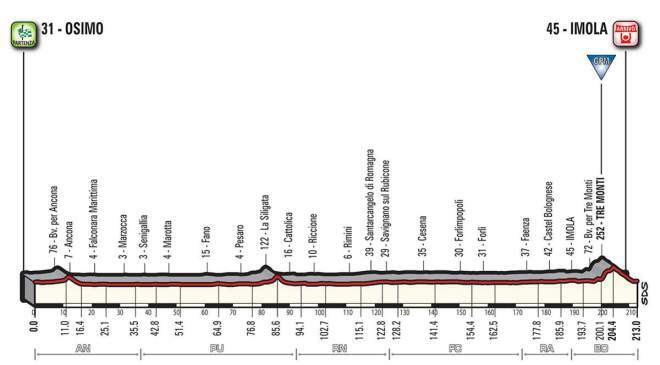 Only past the finish line, it begins the Tre Monti circuit, to be raced once, that will lead to a likely sprint finish in Enzo and Dino Ferrari Racetrack, where Zakarin won in 2015 and Vittorio Adorni was awarded World champion in 1968.